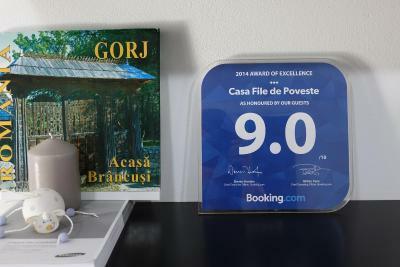 Lock in a great price for Casa File de Poveste – rated 9.2 by recent guests! The guest was realy nice. We have arrived to the property around 11 PM and the lady who owns the house was expecting us despite the late hour. Everithing in this property is new and clean. I recommend it! Very kind host, nice place to stay. Cosy living room with a big TV and kitchen with coffee machine (that fact won me over ;-)). We were allowed to use the laundry machine. Nice garden with wine growing along the path to the house. Sweet kittens. Comfy, nice and clean with amazing frontyard! Highly recommended!. 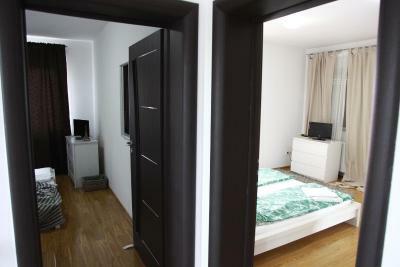 Very nice property, very clean and new. Also the owners are very friendly. The property looks like new, everything is very clean, comfy beds, one big TV downstairs in the living room (smaller TV's in the rooms). Great coffee. Great host. 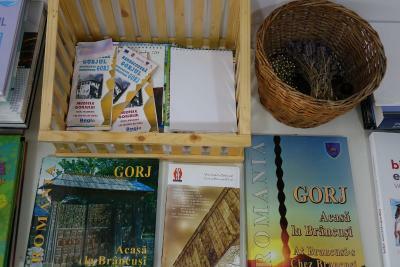 Maximum 10 minutes walk to "The table of Silence" (Masa Tacerii) and "The Gate of the kiss" (Poarta Sarutului). Landlady was very kindly and friendly especially with small kids. 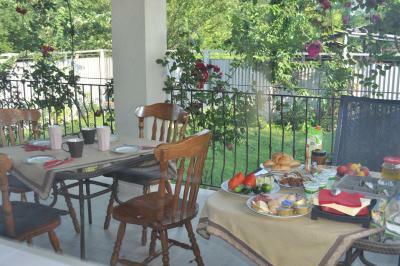 The breakfast was very tasty and have possibility to choose between various menus. The landlady made for us "gogoșele" (kind of donuts).Also we love the old dog (15 years) called "Moșu" which was friendly with kids. The property is a quite place. The place is very clean. The rooms are very big, and it's very quiet. Basically it's a private house, which can be rented on booking. It has a ground floor and a upper floor. We were two persons and we stayed in the upper floor, which has three bedrooms and one bathroom. The host specified that no one will come to use this bathroom, so it was (We had the bathroom only for us). The area is very safe. 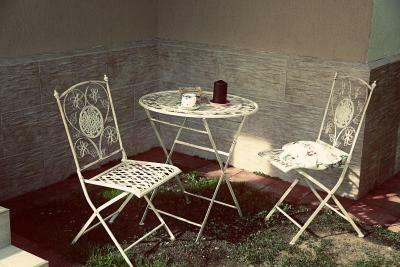 One of our top picks in Târgu Jiu.Located in Targu-Jiu, 0.6 mi from the city center, Casa File de Poveste offers accommodations with free WiFi, as well as a garden and a terrace. Private parking is free on site. All rooms feature flat-screen cable TV and a private external bathroom fitted with a bathtub or a shower. Guests also have access to a shared living room. A fully equipped kitchen with a dining area is available. The nearest shops and restaurants are within a 3-minute walk. Casa File de Poveste is withina 5-minute walk from the park containing the famous sculptural ensemble of Constantin Brancuși, which includes the Table of Silence and the Gate of the Kiss. The railway station is 0.9 mi away. This is our guests' favorite part of Târgu Jiu, according to independent reviews. 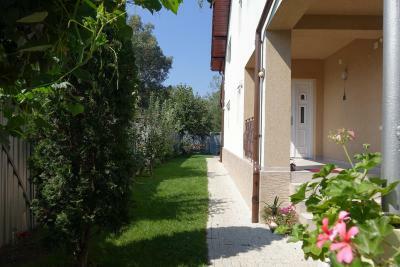 This property is also rated for the best value in Târgu Jiu! Guests are getting more for their money when compared to other properties in this city. 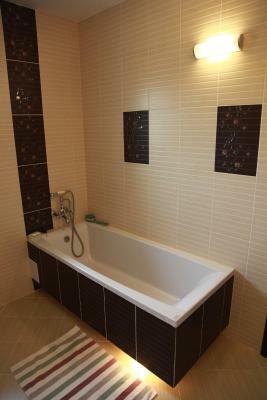 뀐 Located in the top-rated area in Târgu Jiu, this property has an excellent location score of 8.5! 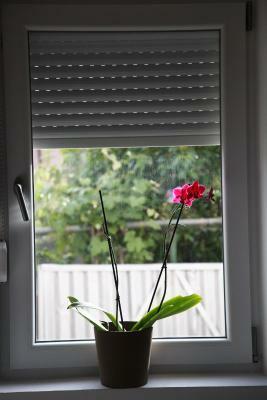 When would you like to stay at Casa File de Poveste? This room is equipped with flat-screen cable TV, free WiFi and a private external bathroom with bathrobes and free toiletries. Travel!To feed your soul some good adventure, to keep it fertile to changes. To wake up under ever changing horizons and let new feelings get born inside you. Get to know a city, like you get to know a new friend. The places you choose reflect who you are. House Rules Casa File de Poveste takes special requests – add in the next step! The bathroom is outside the room, one bathroom for 3 rooms. We were lucky to be just 2 people in 2 rooms using that bathroom. Quiet, very nice host, clean, warm. I didnt found nothing i didnt liked! Shared bathroom if the house is full. We were the only ones in the house and didn’t have any problem. There is no 24-hour desk, if you arrive late, you have to call and wake somebody up. 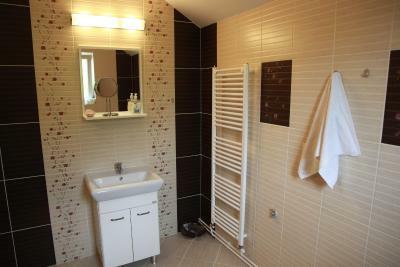 The bathroom is shared (one for the three rooms on the second floor). The sound isolation is so-so (there was a rooster in someone's yard that woke us up at around 5 am and kept going till 9). The guest house itself is deep in a residential area and is a little hard to find. The room was clean, well furnished and spacious. The shower was missing a door and a holder, the bed was very low. You cannot walk from the bedroom to the bathroom without entering the common rooms, so there's not much privacy (if you're in the downstairs bedroom). Nice to have all kitchen facilities available, although the fridge was kind of full with stuff. 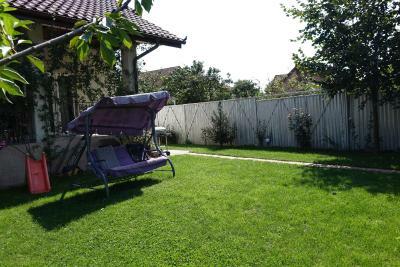 Quiet place, a whole house & garden to use! Clean and very nice people.